BeautySwot: Hay fever and Breastfeeding - What can you take? When I had my first son I found that because I was breastfeeding I didn't get any Hay fever symptoms so I was rather complacent that the same thing would happen this time round. Unfortunately that hasn't been the case. My Hay fever symptoms have returned with a vengeance and when I started to feel pretty unwell with it, I knew I had to get some medicine and fast. When I was heavily pregnant (first time round) my Doctor wouldn't prescribe me anything at all and so I suffered my way through it until my son was born. This isn't true of all doctors so be aware of this. Now I am breastfeeding I especially do not want to use something that could harm my baby so have looked at things I can use. During my time blogging I came across an item called Prevalin, it is a nasal spray which claims to be safe to use in pregnancy and breastfeeding and even athletes can use it! So I picked up a bottle and have been using this when symptoms are bad. 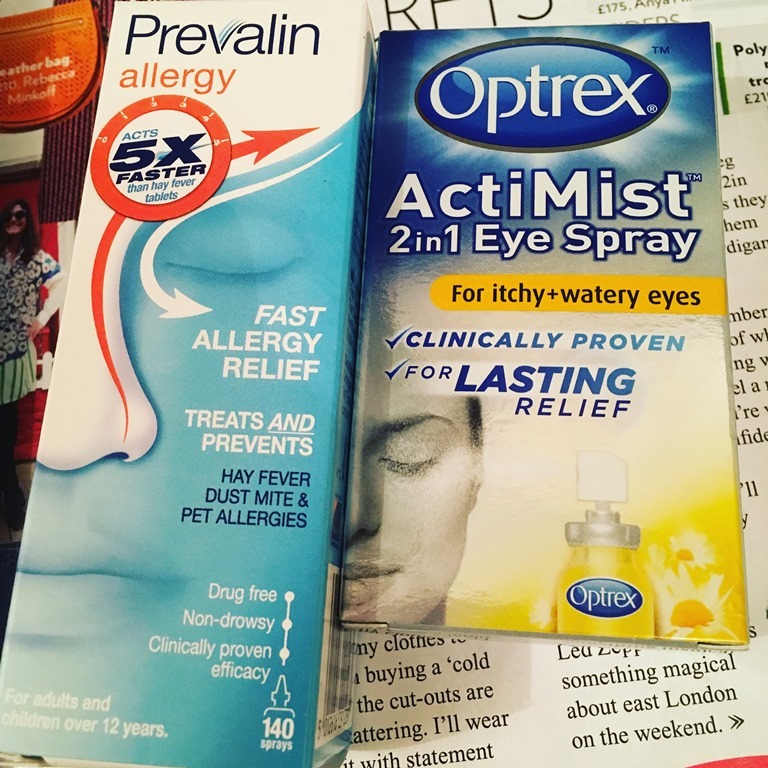 This deals with symptoms nicely and if my eyes are particularly bad I use this spray which I absolutely swear by to give me instant relief. A little pricey but worth every penny!! Oh and of course I am never without the obligatory large shades and pack of tissues!